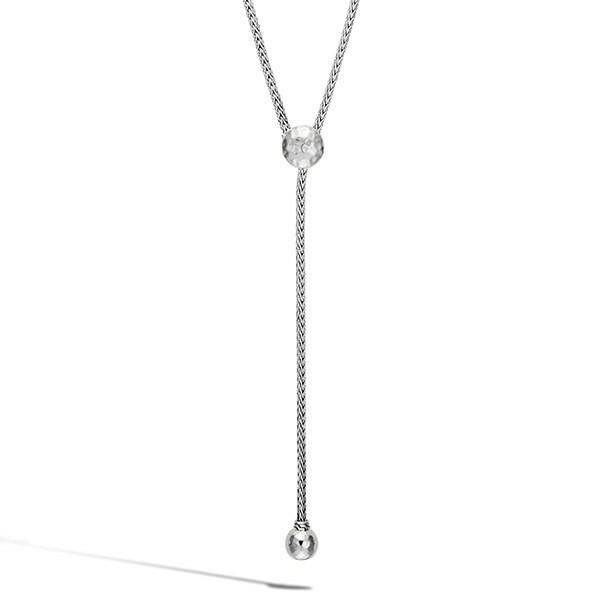 Part of the Classic Chain collection, this John Hardy necklace is a breath of fresh air. A hammered station of sterling silver binds a strand of classic chain. It wraps gracefully around the neck beginning at the circle station as the other end drops past the station to dangle beautifully. This unique John Hardy style with flatter any look.